Following up on our previous article, 10,000 Boomers a Day Hit 65: What This Means for Exit Planning, many Los Angeles and Southern California business owners and entrepreneurs will be planning to exit their companies in the relatively near future. If you are one of these soon-to-retire business owners, you should be taking steps now to plan your business exit strategy. Early planning is the best way to maximize the potential sale price of your company and increase the chances of a financially secure retirement for you and your spouse. Advance exit planning has always been important for business owners and entrepreneurs who plan to fund their retirement with proceeds from the sale of their business. However, there are indications that the IRS is considering making significant changes to the way that gifted assets are valued that will make it critical for many owners to make certain estate planning moves sooner rather than later. Following is a more detailed explanation of why. For many years, gifts of assets in various structures have been valued at a significant discount to their fair market value due to their lack of marketability — for example, minority business interests with no voting power, a lack of liquidity, and other issues. This discount for lack of marketability, or DLOM, has been applied to such assets as operating businesses, portfolios of marketable securities, collectibles (including artwork), and real estate and investments in private equity and hedge funds, to name a few. Many cases have been litigated in the U.S. Tax Court to resolve the exact amount of DLOM that was appropriate, with DLOMs typically ranging from 30-40 percent. However, the fact that a significant DLOM was justified has rarely been challenged. According to many estate planning attorneys, however, the IRS is looking to end the DLOM practice as it applies to portfolios of marketable securities. There is language in the tax code that permits the Treasury Department to add restrictions on asset discounts and, according to a recent Wall Street Journal article*, the issue has long been on the IRS’s agenda. Cathy Hughes, a tax lawyer in the Treasury Department’s Office of Tax Policy, told attendees at an American Bar Association meeting in May that proposed regulations could be out before mid-September. In that same article, Judith Saxe, a senior wealth strategist at Atlantic Trust, the Atlanta-based wealth-management arm of Canadian Imperial Bank of Commerce, voiced a broader concern: that IRS action to limit permitted discounts on assets other than marketable securities could result if the IRS’s definition is broader than anticipated. This could include privately held businesses. Does Your Estate’s Value Exceed the Lifetime Exemption? If the total value of you and your spouse’s estate is less than the lifetime estate tax exemption amount of $10.86 million and you file a joint tax return, you don’t have to worry about this potential proposed regulation right now. But if the value of your estate exceeds this amount, or you anticipate that it could exceed this amount in the near future, you might want to consider taking action soon. Specifically, if you have the ability to pass interests in your business and/or other assets to your heirs under the current tax law, you might be well advised to do this immediately. As recent news reports have made clear, the IRS has a poor performance record in terms of protecting taxpayer information from identity theft and securing sensitive e-mails subpoenaed by Congress. They also have archaic computer systems and chronic understaffing that has resulted in poor customer service, slow response times and delayed audit completions. But the IRS could move very quickly to make changes to this critical estate planning tool used by wealthy families and business owners and entrepreneurs, so don’t delay. Also, let’s not forget that Congress, in its never-ending efforts to decrease deficits by raising taxes, could decide to significantly reduce the lifetime estate tax exemption from its current $10.86 million for couples filing jointly at any time. This is another good reason to make estate planning DLOM moves now if you anticipate that you might ever want to use this tool in the future. 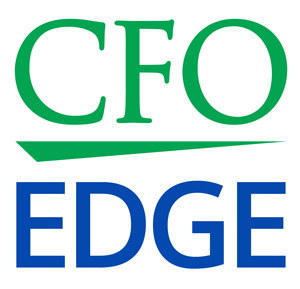 While we at CFO Edge are not tax practitioners or tax lawyers, we believe this potential issue is significant enough to bring it to your attention here — especially in light of the limited amount of time that may be available to address these critical changes to the laws regulating DLOM. If you do not have a tax or estate planning advisor who can assist you in addressing this area, we can refer you to one. Meanwhile, we can help you formulate your business exit plan if you are planning to exit your company in the relatively near future. The white paper's 15 sections address areas such as the importance of planning early, exit methods, advisors and their roles, valuing the business, transaction negotiation, and more. Included among the 10,000 baby boomers who are turning 65 years old every day are many business owners and entrepreneurs who are planning to exit their companies in the relatively near future. Prompt exit planning has always been important, but there are indications that the IRS is considering making significant changes to the way that gifted assets are valued that will make it critical for many owners to make certain estate planning moves sooner rather than later. Specifically, if you have the ability to pass interests in your business and/or other assets to your heirs under the current tax law, you might be well advised to do this immediately.